Diego Maradona was in town ahead of the U-20 World Cup draw tonight, playing a bit of 5-on-5 footy with other players and public figures including Pablo Aimar, former KNT manager Huh Jung-Moo, current KNT boss Shin Taeyong and actor Ryu Junyeol. 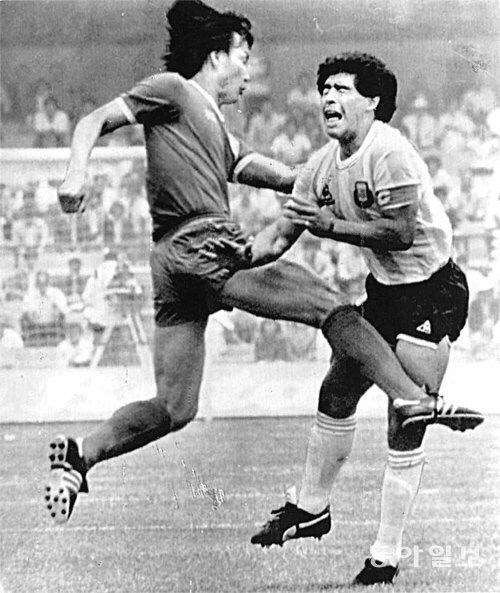 Maradona was shown this picture of Huh’s impeccable round-house kick at the 1986 World Cup, saying he remembered the incident and the two encounters he had with Huh – that game and their battle at the 2010 World Cup as their nation’s respective managers. Said Maradona, “I’m glad to be meeting again in a more happier place.” Many Korean journalists made the obvious remark that Maradona has put on some weight, one reporter commented “his mind is still young and his love for the game is obvious”. For the record, Maradona bagged a hat-trick in the 7-minute kickabout and beat Team Aimar 4-3. The U-20 World Cup draw will be held tonight at the Suwon Atrium. 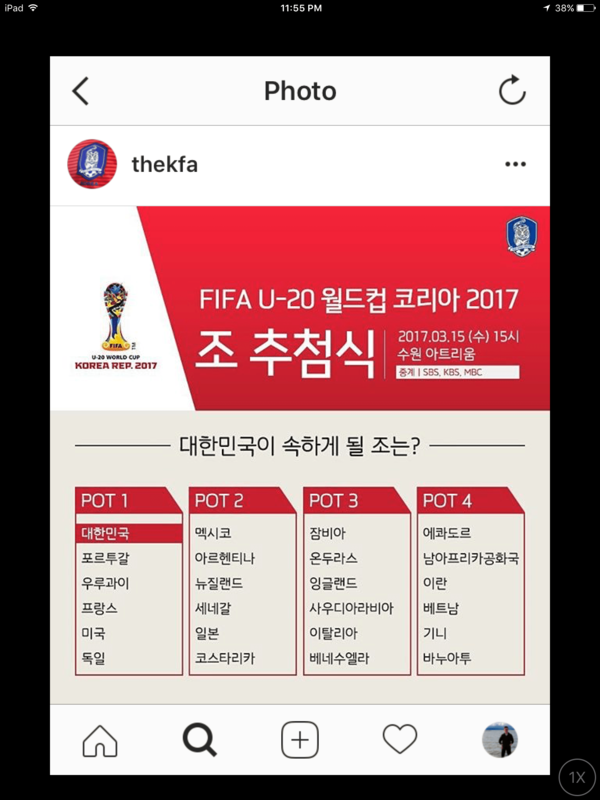 Here are the pots, calculated based on previous U-20 World Cup performances (and Korea as hosts). Korea cannot face Japan in Pot 2, Saudi Arabia in Pot 3 and Iran/Vietnam in Pot 4… the draw will be held at 3pm KST and broadcast live on three national networks: SBS, KBS and MBC. (Which is encouraging.) Obvious teams to avoid are Mexico and Argentina in Pot 2, while Zambia could be dark horses in Pot 3. Avoiding the perennial contenders will give Korea a decent shot at advancing to the Round of 16 and beyond, with manager Shin Taeyong announcing that reaching the Quarter-Finals at home is a bare minimum. Games will be held in Jeonju, Suwon, Seogwipo (Jeju), Cheonan, Incheon and Daejeon.